Did U.S. Government Agencies Intentionally Whitewash the Toxic Footprint of a Widely Used Chemical Compound? Two new analyses make clear the Environmental Protection Agency and the Department of Defense have downplayed the public-health threat posed by chemicals used to develop Teflon and Scotchgard. A view of the Environmental Protection Agency headquarters. The chemicals once seemed near magical, able to repel water, oil, and stains. By the 1970s, DuPont and 3M had used them to develop Teflon and Scotchgard, and they slipped into an array of everyday products, from gum wrappers to sofas to frying pans to carpets. Known as perfluoroalkyl substances, or PFAS, they were a boon to the military, too, which used them in foam that snuffed out explosive oil and fuel fires. It&apos;s long been known that, in certain concentrations, the compounds could be dangerous if they got into water or if people breathed dust or ate food that contained them. 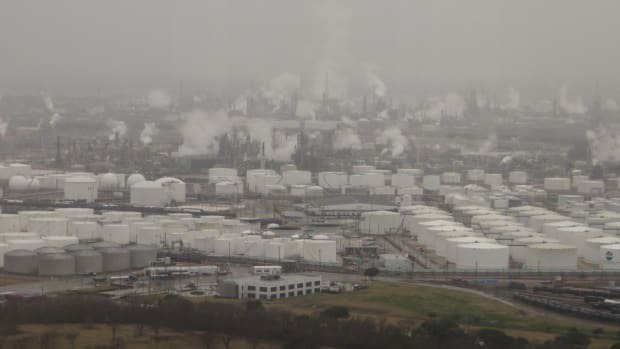 Tests showed they accumulated in the blood of chemical factory workers and residents living nearby, and studies linked some of the chemicals to cancers and birth defects. Now two new analyses of drinking water data and the science used to analyze it make clear the Environmental Protection Agency and the Department of Defense (DOD) have downplayed the public threat posed by these chemicals. Far more people have likely been exposed to dangerous levels of them than has previously been reported because contamination from them is more widespread than has ever been officially acknowledged. Moreover, ProPublica has found, the government&apos;s understatement of the threat appears to be no accident. The EPA and the DOD calibrated water tests to exclude some harmful levels of contamination and only register especially high concentrations of chemicals, according to the vice president of one testing company. Several prominent scientists told ProPublica the DOD chose to use tests that would identify only a handful of chemicals rather than more advanced tests that the agencies&apos; own scientists had helped develop that could potentially identify the presence of hundreds of additional compounds. The first analysis, contained in an EPA contractor&apos;s PowerPoint presentation, shows that one chemical—the PFAS most understood to cause harm—is 24 times more prevalent in public drinking water than the EPA has reported. Based on this, the Environmental Working Group, an advocacy organization whose scientists have studied PFAS pollution, has estimated that as many as 110 million Americans are now at risk of being exposed to PFAS chemicals. In the second analysis, ProPublica compared how the military checks for and measures PFAS-related contamination to what&apos;s identified by more advanced tests. We found that the military relied on tests that are not capable of detecting all the PFAS chemicals it believed to be present. Even then, it underreported its results, sharing only a small part if its data. We also found that the military&apos;s own research programs had retested several of those defense sites using more advanced testing technology and identified significantly more pollution than what the military reported to Congress. Even before the troubling new information about PFAS chemicals emerged, the government had acknowledged problems relating to them were spreading. Past EPA water testing, however incomplete, identified drinking water contamination across 33 states that Harvard University researchers estimated affected some six million people. The military suspected drinking water at more than 660 United States defense sites where firefighting foam was used could be contaminated; earlier this year, it announced it had confirmed contamination in 36 drinking water systems and in 90 groundwater sites on or near its facilities. The new analyses suggest these findings likely represent just a fraction of the true number of people and drinking water systems affected. In written responses to questions, the EPA did not directly address whether it had understated contamination from PFAS chemicals. The agency said it had confidence in its current testing procedures and had set detection limits at appropriate levels. It also stated that it is taking steps toward regulating some PFAS compounds and registering them as "hazardous substances," a classification that triggers additional oversight under waste and pollution laws. The agency will "take concrete actions to ensure PFAS is thoroughly addressed and all Americans have access to clean and safe drinking water," then-EPA Administrator Scott Pruitt, who recently resigned, said in the written statement to ProPublica in May. The Department of Defense also responded to questions in writing, defending its testing methods as the best available and calling it difficult to fully assess risks from PFAS because the EPA has not regulated these chemicals. A DOD spokeswoman said the Pentagon&apos;s research group has a program underway aimed at enhancing the test methods and detecting more PFAS compounds, but suggested that no alternatives were ready for use. She did not answer questions about why the agency reported contamination levels for only two chemicals to Congress when it would have had data on many more, stating only that the Pentagon "is committed to protecting human health and the environment." "Widespread contamination may be harming the health of millions or even tens of millions of Americans and the government is intentionally covering up some of the evidence," said Erik Olson, a senior director for health, food and agriculture initiatives at the Natural Resources Defense Council, in an interview. The EPA and Department of Defense "have done all they can to sort of drag their feet and avoid meaningful regulatory action in making significant investment in clean-ups." In May, a Politico report revealed that the EPA and the White House, along with the Department of Defense, had pressured a division of the Centers for Disease Control and Prevention to withhold a health study expected to warn that people exposed to PFAS chemicals face greater health risks than were previously understood. That report was quietly released in mid-June and, indeed, estimated safe levels of exposure are seven to 10 times smaller than what the EPA has said. Such a determination could spur stricter limits on exposure than the EPA appears to have considered. Paired with an emerging realization that testing by the EPA and DOD hasn&apos;t captured the true extent of contamination, the government could be forced to re-conceive its approach to these compounds, said David Sedlak, the director of the Institute for Environmental Science and Engineering at the University of California–Berkeley, who helped develop one of the most advanced commercial tests for PFAS substances. "Not talking about it isn&apos;t going to make the problem go away," Sedlak said. "And because these compounds are forever—they aren&apos;t going to degrade on their own—eventually there is going to be a day of reckoning." The PFAS compounds might not exist if weren&apos;t for a lab accident in 1938, when a frozen block of refrigerant turned into an extraordinarily slippery white, waxy mass. A decade later DuPont was manufacturing it as Teflon. 3M developed its own version, the molecularly similar PFOA in 1954, when a chemist inadvertently spilled a mixture of chemicals on her shoe and found the stain was impervious to soap or water. They called it Scotchgard. These products work, in part, because the chemicals they contain are made up of some of the strongest and most resilient molecular bonds in existence, thanks to a unique structure that keeps them from breaking down. There are thousands of variations, all characterized by extremely strong daisy chains of carbon and fluorine molecules and differentiated mostly by the length of their "tails"—the string of carbon molecules that can be anywhere from two to 14 units long. In the mid-1970s, with the use of the chemicals proliferating, Dupont and 3M began privately testing the blood of their plant workers and others. The companies had grown increasingly concerned about the toxicity of PFAS compounds, learning that they "bio-accumulate" in food and people and that they could cause harm. But it wasn&apos;t until 2000, when 3M pulled Scotchgard from the market, that the EPA began to investigate PFAS&apos;s potential damage to human health and the environment, and soon after, that the blood tests became public. At first, the EPA took steps that suggested it would quickly get to the bottom of the problem. 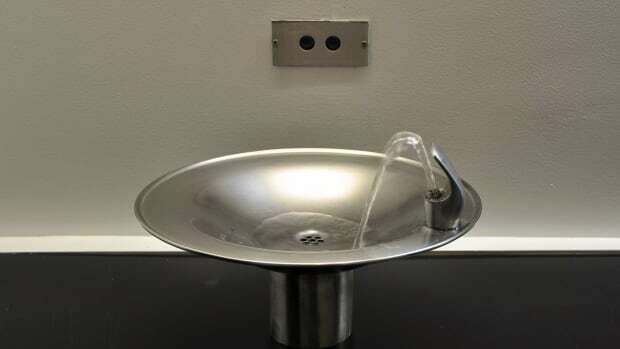 Citing the spread of contaminants in water supplies in Minnesota and Ohio, in 2002 the agency launched a "priority review" of some PFAS compounds. It wrote then that exposure can "result in a variety of effects including developmental/reproductive toxicity, liver toxicity, and cancer." By 2003, the EPA launched its first draft risk assessment for PFOA, typically a substantial step toward establishing strict regulatory standards that limit a chemical&apos;s use and mandate its clean-up. When the draft was released in early 2005, it said that, while the epidemiological evidence remained inconclusive, rats tested with PFOA were more likely to develop liver and pancreatic cancers, and there were worrisome signs that workers in plants that manufactured PFOA had a higher risk of dying of prostate cancer. The EPA also asked industries to voluntarily phase out PFOA-related products, including the firefighting foam, by 2015. The question was then—and remains today—how much exposure to PFAS chemicals would make people seriously ill? In 2009, the agency attempted an answer, issuing "provisional" voluntary guidelines for safe levels of the chemicals in drinking water. This meant that, for the first time, the government offered a precise, scientific measure for how much of the compounds was too much. But it didn&apos;t mandate those limits, or create a regulation enforceable by law. And even those limits—it would later become clear—proved too loose. Meanwhile, other instances of water contamination—in Minnesota and Alabama—heightened concerns. One study of 60,000 residents in West Virginia and Ohio exposed to high levels of PFOS and PFOA from a DuPont manufacturing plant and an Army airfield showed they had high rates of thyroid malfunction, testicular and kidney cancers, and preeclampsia. The study was completed as part of a roughly $107 million settlement of a lawsuit against DuPont. Studies on animals also linked the chemicals to structural birth defects and dramatic changes in hormone levels. In 2013, with concern rising over the ubiquity of PFAS compounds, the EPA decided it would test for some of the chemicals in public drinking water systems. The agency regulates chemicals under the Safe Drinking Water Act and adds new substances to the list based on tests showing they&apos;re widespread enough to pose a national threat. Listing a chemical for such testing is often a step toward creating enforceable regulations for it. At the same time, the agency began to reconsider the health advisory limit it had established in 2009. In 2016, the agency announced a dramatically lower limit for how much PFAS exposure was safe for people, suggesting a threshold less than one-eighth the amount it had once assured would cause no harm. Under the new guidelines, no more than 70 parts per trillion of the chemicals, less than the size of a single drop in an Olympic pool, were deemed safe. Yet even this standard remains voluntary and unenforceable. Until there&apos;s a true limit on the concentration of PFAS compounds allowable in drinking water, soil, and groundwater—and the classification of PFAS as a hazardous substance—the EPA can&apos;t hold water utilities, companies, or other polluters to account. It also can&apos;t compel the Department of Defense to adhere to the standard or clean up contamination. There is increasing evidence that PFAS contamination is more widespread on and around military bases than previously thought. The Department of Defense launched a full-scale review of contamination in drinking water systems at its facilities in 2016, despite the lack of clear regulatory limits from the EPA. This spring the Pentagon reported to Congress that 564 of the 2,445 off-base public and private drinking water systems that it had tested contained PFOS or PFOA above the EPA&apos;s advisory limits. It also announced that groundwater at 90 out of 410 military bases where it tested contained dangerous levels of these two chemicals. 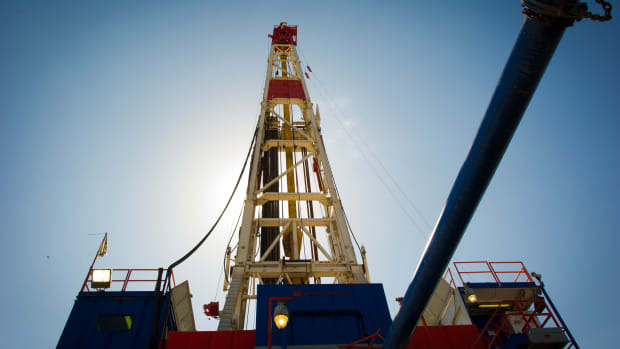 A staggering 61 percent of groundwater wells tested exceeded the EPA&apos;s threshold for safety, according to the presentation Maureen Sullivan, the deputy assistant secretary of defense for environment, safety, and occupational health, gave to Congress in March. Attending to the problem, several news outlets have reported, would cost the Pentagon at least $2 billion. In presenting its liabilities to Congress, the Department of Defense took an important step in wrestling with a troublesome issue, much as the EPA had in undertaking national data collection. 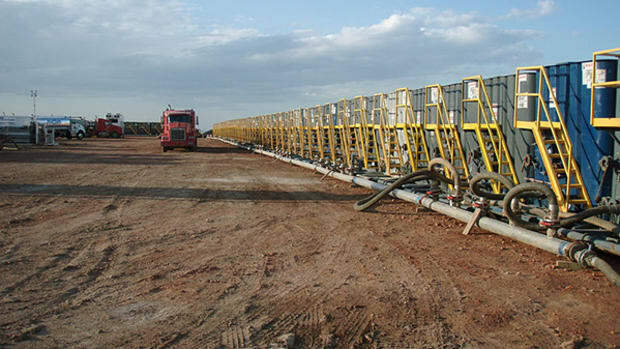 But both agencies have quite deliberately chosen not to use the most advanced tools or to collect the most comprehensive data on contamination, researchers say. To identify PFAS compounds in drinking water, the EPA uses a lab test called "Method 537," which separates microscopic molecules so they can be more easily seen. It&apos;s not the most sophisticated test available, but scientists have used it enough to give them—and regulators—extraordinary confidence in its results. This is the test the EPA chose in 2013, when it directed its labs across the country to test water samples to evaluate emerging PFAS chemical contaminants to help determine whether they should be regulated. But even though the Method 537 test can detect 14 PFAS compounds, the EPA only asked for data on six of them. 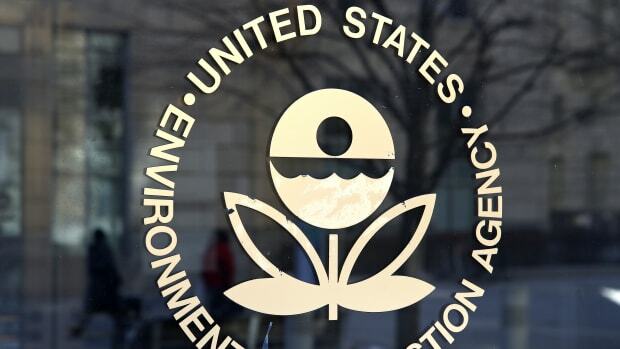 The EPA said this was to allow for testing of non-PFAS pollutants, since the agency is only allowed to target a certain number of emerging contaminants in each round of tests. The agency also set detection thresholds for the six PFAS compounds included as much as 16 times higher than what the test was sensitive enough to detect—so high that only the most extreme cases of contamination were reflected in the federal drinking water data set. Indeed, according to a recent presentation by Andrew Eaton, vice president of Eurofins Eaton Analytical, the largest drinking water test lab in the country, which handled testing of more than 10,000 samples from 1,100 public water systems—about 30 percent of the EPA&apos;s water samples overall—vast amounts of detected contamination was ignored by design. Through its federal water quality reporting, the EPA has said publicly that PFOA was detected in just 1 percent of water samples across the nation. But when Eaton recently went back and re-analyzed the data the EPA didn&apos;t want, he found PFOA was in nearly 24 percent of the samples his company tested. Another chemical, PFBS, is considered a sentinel because, in situations where it is a component of contamination also containing PFAS and PFOA, it travels further and faster in water and shows up months or years ahead in places where PFOA or PFOS are ultimately detected. The EPA has reported that PFBS was found in less than one-tenth of 1 percent of all its water samples—not even one in 100. Eaton&apos;s re-analysis detected the sentinel chemical in nearly one out of eight of samples. "It basically says the plume is on its way, that&apos;s the leading indicator ... PFOS and PFOA is likely on the way to your house," said Jennifer Field, a professor of environmental and molecular toxicology at Oregon State University. Field is a leading expert on test methods for PFAS compounds. The Department of Defense helps fund her research. "If you are on the hydrological flow path it&apos;s a matter of time and distance." 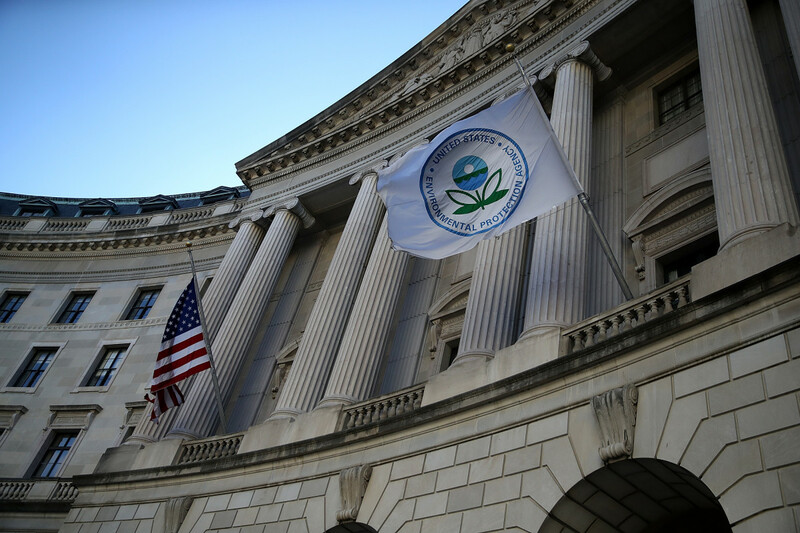 The EPA defended its detection limits, saying its testing protocol is designed to yield consistent, reliable results even if labs conducting the tests are less sophisticated. But the government is far from certain that lower levels of PFAS compounds than those that count as contamination by the EPA&apos;s definition aren&apos;t health threats. The EPA has repeatedly lowered how much exposure to PFAS compounds it considers acceptable. And when the Centers for Disease Control and Prevention finally released its health analysis for PFAS compounds in June, it called for limits of one compound to be 10 times lower than the EPA&apos;s current threshold, and another to be seven times lower. Such a standard would be more in line with some states, which already have tougher limits in place. New Jersey, for example, has set its exposure limit for PFOA at roughly one-fifth of what the EPA prescribes. The EPA&apos;s testing protocol—which only certifies the 537 test, with its limitations—also hasn&apos;t kept up with fast-evolving science around PFAS chemicals. Researchers have identified new forms of the chemicals and, potentially, new dangers from these variants. In 2016, Field and several other researchers—as part of a Department of Defense research program examining water samples from 15 defense sites where firefighting foam was used (researchers declined to name them)—identified 40 new families of PFAS chemicals, consisting of some 240 compounds they&apos;d never seen before. "You&apos;re starting to get this idea that more complex chemistry was used at these sites than was picked up in the tests, and that&apos;s kind of the punchline," said Field, of the firefighting foam sites in particular. "There is more mass down there, there are more species and in higher concentrations than what you see." Method 537, as a rule, is not capable of detecting these additional compounds. Yet when the Pentagon launched its own water testing program at U.S. bases in 2016, it chose to use the EPA&apos;s outdated testing process, even though a test capable of detecting the presence of dozens of additional PFAS compounds was available. That test, called the Top Assay, was even developed with Department of Defense support. Instead, the Department of Defense relied exclusively on the 537 test and then, when it reported its findings to Congress this past March, it offered only the results for PFOS and PFOA and not the other 12 compounds the test process identifies, because that&apos;s what Congress had asked for. Indeed, according to one memorandum from the Department of the Navy, the armed services were explicitly instructed to withhold their extra data—at least for the time being—because it was "not being used to make decisions." "If you were going to spend $200 million testing DOD sites across the country, wouldn&apos;t you want to test for all of the chemicals you know you used?" asked Jane Williams, executive director of California Communities Against Toxics, who has been active on chemical clean-up issues at Defense sites. "It&apos;s almost like a deliberate thing, where you&apos;re going to tell people their water is safe to drink, and you know that you have a gap in your testing and you know that you haven&apos;t found all of the chemicals in the water." Scientists are only now beginning to understand the importance of the information the government is choosing to leave out. Field has found, for example, not only that there are more variations of PFAS compounds, but that some degrade over time into PFOS or PFOA, or, like PFBS, travel faster in the environment, making them predictors for other contaminants soon to come. Many of the variants with shorter "tails"—or shorter chains of molecules than the test methods can detect—"are likely to break through systems designed to capture" them, Field and others wrote in a 2017 paper published in the journal Environmental Science and Technology. They are also more likely to elude the water treatment methods the EPA and the Department of Defense are using to clean water identified as contaminated. The consequence of these systemic blind spots is that "by the time you see PFOS and PFOA you may have been drinking other things for a longer period of time," Field said. When Field retested water samples at several U.S. defense sites using the most advanced testing available, she found that many of these obscure additional chemicals were nearly uniformly present—and in huge numbers. At one site, for example, where PFOS was detected at 78,000 parts per trillion, another obscure PFAS compound was present at nearly three times that concentration. Based on Eaton&apos;s higher-resolution detection rates, scientists at the Environmental Working Group, an advocacy organization that researches the dangers of PFAS compounds, have generated new estimates of contamination linked to the chemicals. They now think more than 110 million people have been exposed to the compounds through their drinking water, more than five times as many as the group had previously estimated. The EPA "has really underplayed the extent of contamination," said David Andrews, a senior scientist at EWG. "The scope of the problem seems to be expanding." This post originally appeared on ProPublica as "How the EPA and the Pentagon Downplayed a Growing Toxic Threat" and is republished here under a Creative Commons license. Tests have revealed that water in Parchment, Michigan, contains 20 times the federal health advisory for dangerous substances known as PFAS. Researchers are worried that the EPA plans to reduce the Office of Children's Health Protection's influence, or shutter it altogether. 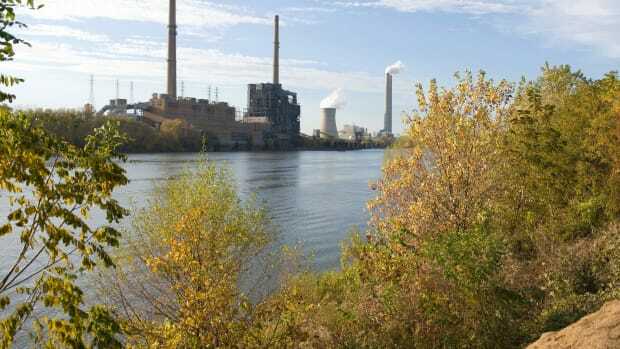 As the Trump administration attempts to roll back regulations on coal ash ponds, a new report highlights the dangers posed by storing toxic waste next to rivers.